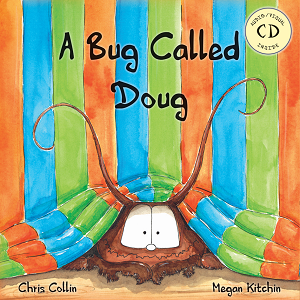 Welcome to the funkiest BOOK, BOOK, BOOKEEK ever! Right slap bang in the middle of Australia. 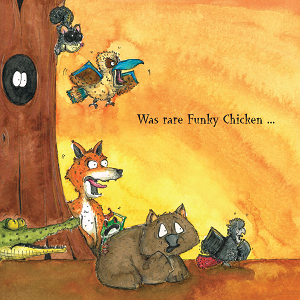 You see, many of the animals felt they were more special than all the rest. 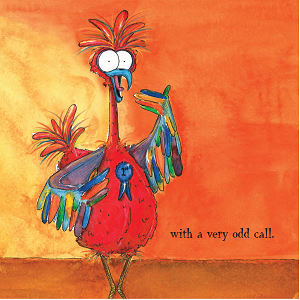 This is the story of how they decided, once and for all, who was the most unique! 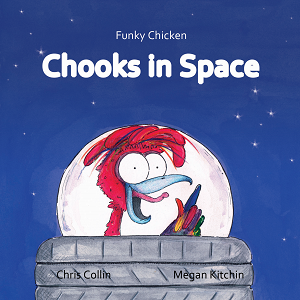 The first book in a series, Funky Chicken: A Bushy Tale of Crocs and Chooks was released in 2013. 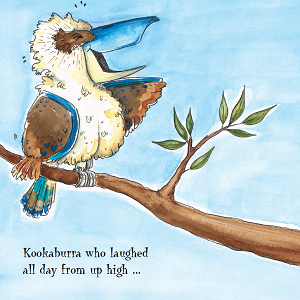 With a rollicking rhyme, a story that will leave you in stitches and funky illustrations to boot, this delightful picture story book is set to become an Australian children’s classic. 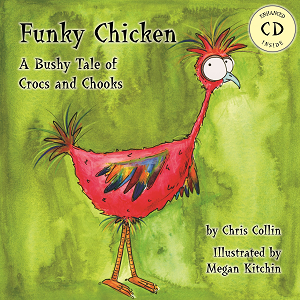 Funky Chicken: A Bushy Tale of Crocs and Chooks also comes with an audio-visual CD, containing a video slideshow of the book and an audio book read by author Chris Collin with music by Adrian Hannan of The SongStore, as well as a copy of the Funky Chicken song Slideshow!